From Monument Lake we climbed Cucharas Pass which tops off at 9,941 feet before descending into valleys of farmland situated beneath dramatic dikes. 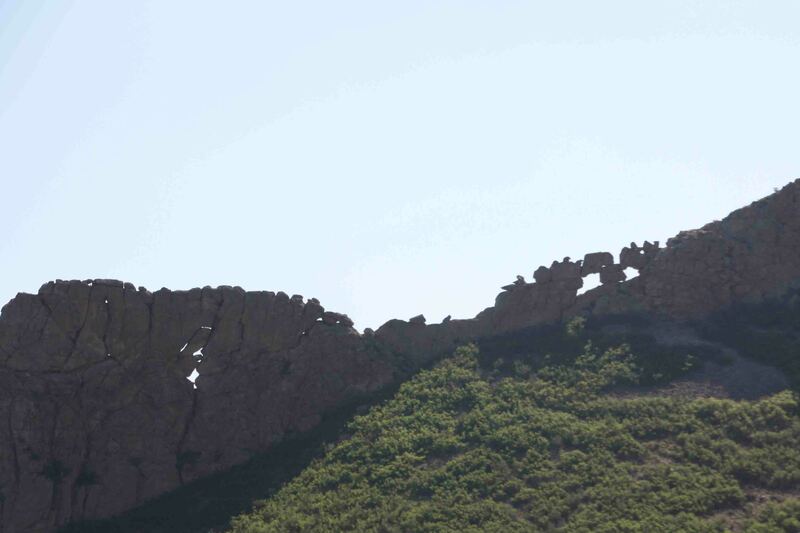 One dike looked like an incomplete jigsaw puzzle with jagged rocks resting on one another with spaces in between. On our way to La Veta, both directions of traffic were stopped due a car that had rolled into a pasture. I heard no one was seriously injured. By the looks of the SUV, I would have guessed differently. It was totaled with the roof crushed in and the tires turned sideways. After a short delay, we reached La Veta where we visited Fort Francisco Museum. The museum, which included two of the original adobe buildings of the fort, also included an old saloon, as well as a historic school house. 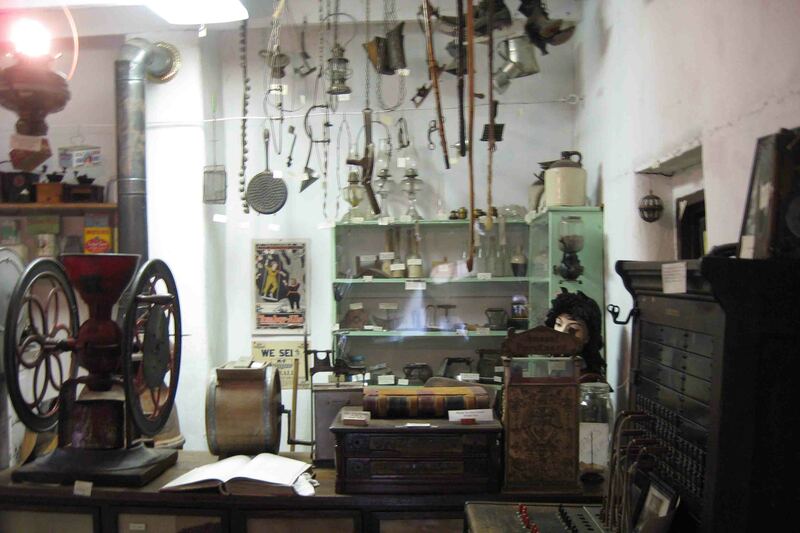 A variety of displays showcased Indian tools and pottery, vintage clothing, wood burning stoves, and a variety of old tools used in the frontier days. Francisco Fort was founded in 1862 after Col. John Francisco came to the area from Fort Garland the prior year and exclaimed, “This is paradise enough for me.” In partnership with Henry Daiger, land was purchased from the Spanish Land Grant of Vigil & St. Virgin and together with Hiram Vasquez, the fort was constructed for protection from the Indians. Col. Francisco called the fort his home until his death in 1902. 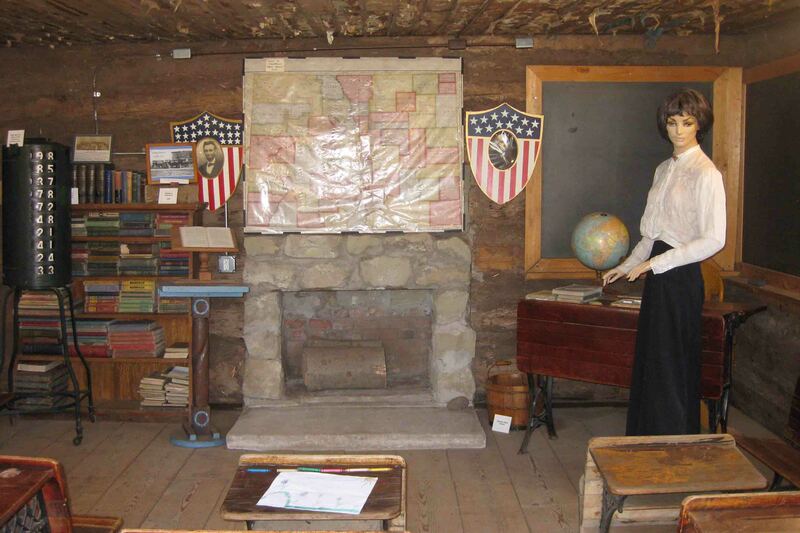 The original site of the 1876 schoolhouse now located at the museum was three miles east of La Veta. Hiram Baker, John Denton and neighbors cut logs from the nearby forest and hauled them to the site to build the one-room Ritter Schoolhouse. Handmade tables and benches that lined the walls were used as desks. The student sitting in the innermost spot had to get the other students on the bench to move in order to get out. The school hosted many dances to raise money for books and even held church services. In 1897, the schoolhouse was deemed too small; sold to the landowner, John Ritter, for $4.25; and a larger school was built. The Ritter Ranch used the schoolhouse for storage and a bunkhouse. It was completely abandoned in 1960 and fell into disrepair before the family donated it to the museum. 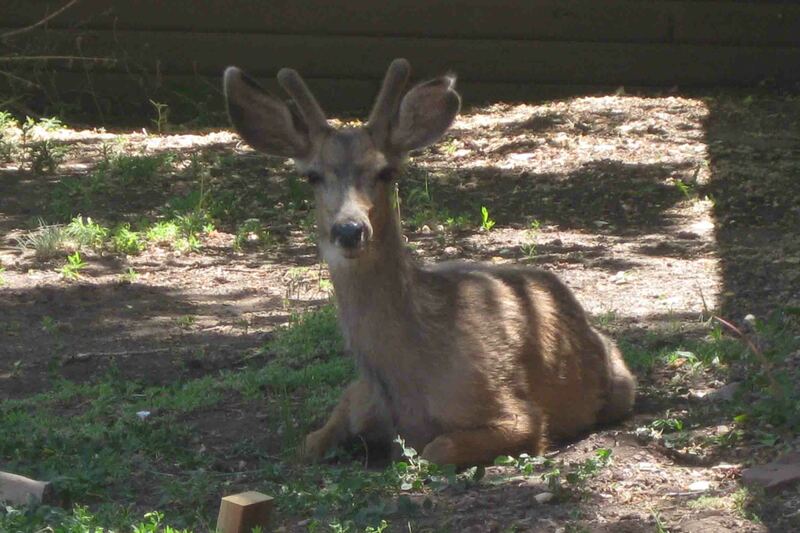 If seeing all the historic memorabilia wasn’t enough, a young buck rested outside the fort the entire time I was there! have fun in Estabrook…LOVE IT THRE.will your mom(her cleaning trip) be there when you are. Love the photo of the deer. SO pretty. Have a fabulous time! Watch for the Coyote at the ranch house!